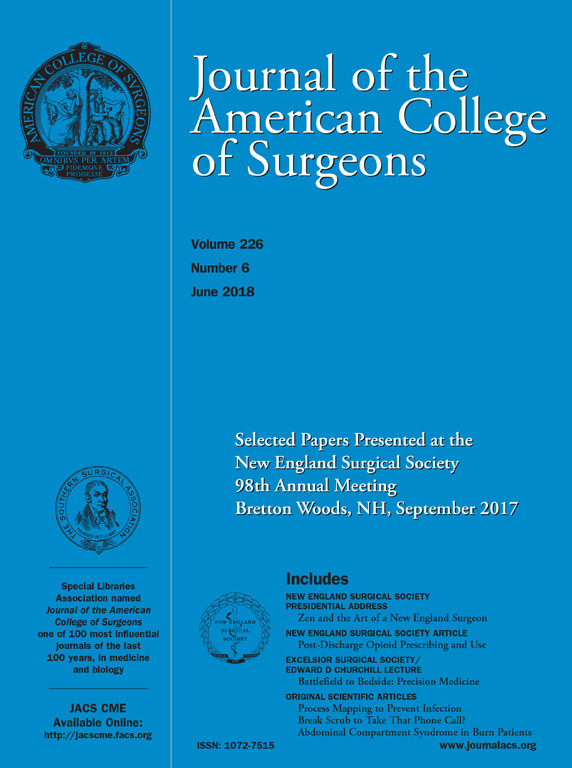 The article titled “Break Scrub to Take That Phone Call?” was published and featured on the cover of the June issue of the Journal of the American College of Surgeons. This article was authored by Abigail Schirmer, BS, Courtney Swan, BS, Terrie Vasilopoulos, PhD, Nikolaus Gravenstein, MD, Chris Giordano, MD, from the Department of Anesthesiology along with colleagues from the Departments of Surgery and Microbiology and Cell Science here at the University of Florida. Read the abstract below and click here to read the full article. The American College of Surgeons reports that 60% of the hundreds of thousands of surgical site infections occurring annually are preventable. The practice of surgeons taking phone calls while remaining sterile in the operating field is often accomplished by interposing a sterile disposable towel between the phone and their glove. After completing the call, surgeons resume operating. The purpose of our study was to test the conceptual idea of whether bacteria transmit from an inanimate object, such as a telephone, to the gloves of a surgeon through a sterile disposable towel. Glo Germ (Glo Germ Co), an ultraviolet light-enhanced particle powder sized to mimic bacteria, was placed on an inanimate surface and held with a sterile disposable operating room towel covering a sterile surgical glove. The glove was then inspected for Glo Germ using an ultraviolet light. Additionally, 18 operating room telephones were cultured and then held with a Sterile Disposable OR Towel (Medline Industries Inc) covering a sterile surgical glove. The surgical gloves were then cultured to determine if bacteria had transmitted from the telephone through the towel and onto the sterile glove. The Glo Germ powder readily transmitted through the towel to the gloves. Median colony-forming units (CFU) on the cultured telephones for the 17 samples was 10, ranging from 1 to 35 CFUs. Of these 17 samples, 47% had transmission from the telephone to the glove, which was significantly greater than 0% (95% CI 26% to 69%, p < 0.001). Sterile disposable operating room towels do not provide an effective barrier between bacteria present on operating room telephones and the otherwise sterile gloves of a surgeon.